Bill-fold wallet Clear plastic identification slot Holds approximately four credit cards Full-color team logo embroidered on the front Show your team pride every time you carry the Rico� Embroidered Bill-Fold Wallet. Featuring a clear plastic identification slot, room to hold approximately four credit cards and a plastic picture insert, this wallet is exceptionally functional. 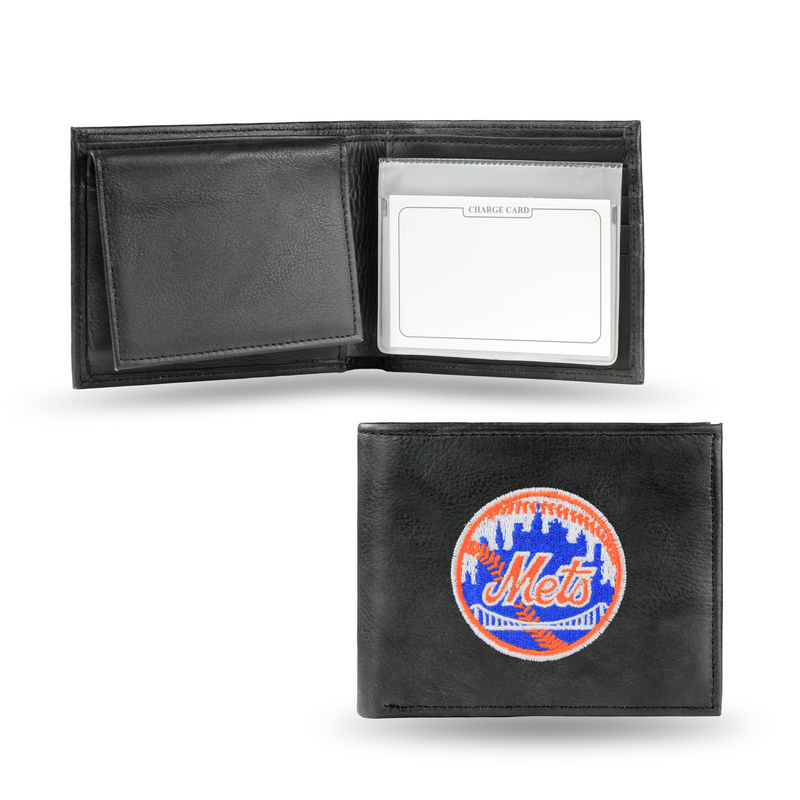 The embossed team graphics display your team pride, so everyone will know you're not a fair-weather fan when you carry the Rico� Embroidered Bill-Fold Wallet.